M2: Bringing Space Harrier To 3DS Was "Almost Impossible", But It's "The Definitive Version"
Who would have thought porting old arcade games could be this hard? This week the 3DS eShop will finally be blessed with 3D classics from SEGA — including arcade classic Space Harrier — but getting these titles to run as perfectly as they do on 3DS was no easy task, as the developers have explained in a recent interview. 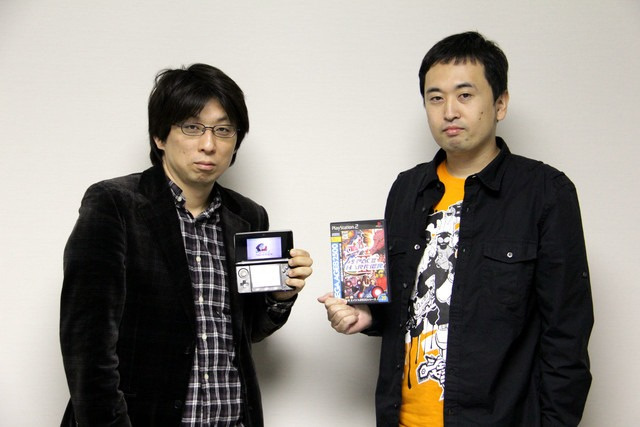 Naoki Horii, President of M2, and Yosuke Okunari, producer at SEGA CS3, spoke in an interview with Impress Watch about the long process of fine-tuning and refining a title to create an authentic experience as close to the arcade original as possible. M2, responsible for porting the 3D Classics range to the 3DS, started life as a small project between Naoki Horii and his friends. Back then, it wasn't easy to simply go and buy a home console version of an arcade game, and, in his words, feeding 100 yen coins into the machines wasn't a great alternative, either. But with a few friends from school and the arcade, they got together to create and build a home console version of the arcade classic Gauntlet. It was such a good recreation that when they took it to the now-defunct Tengen, they got the money and materials they needed and had their first game. Twenty years later, and M2 and since been responsible for the Sega Ages compilations — known as Sega Classics Collection here in the West — and for re-releasing a bunch of titles on Wii Virtual Console. 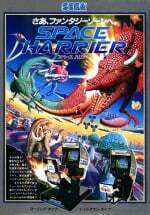 3D Space Harrier is M2's third attempt at porting the title, after the PS2 and Wii Versions. Porting a title onto a new system is not as simple as it may seem, and with every new piece of hardware they develop for, new barriers have to be overcome, meaning that even something as powerful as the PS2 — in comparison to arcade machines of old — could struggle to reproduce something such as Space Harrier without the right knowledge. The PS2 suffered problems with input lag and the sound but thankfully, after a lot of tweaking, these problems were overcome. The ins and outs of emulating things were still being figured out back then. Being new to this, even I thought we could churn out ports pretty quickly, but it turns out that wasn’t really the case. It turns out that since the hardware is different, it takes quite a lot of machine power to emulate these games. M2 is quite fussy about these kinds of things, and they wanted to really get the controls right from the get-go. After so many years of developing for so many different systems, 3D Space Harrier could just be the definitive version of the game. After encountering some minor control problems on the PS2 version of Space Harrier, and changing the controls ever so slightly for the Wii version, M2 decided that for the 3DS version, they'd address player concerns by putting in 3 levels of movement ranges, so that players can play the title how they see fit. 3D Space Harrier has loads of customisable settings — thanks to years of experience — and everything from minor control changes to the screen size and Harrier's moving area can be altered. After porting the same title numerous times, you'd have thought the process might have become slightly easier for M2, but Okunari reveals that the Yu Suzuki classic was one of the hardest games to translate to the handheld system:. Re-making games in 3D is almost impossible. When you take a character sprite that was originally in 2D and bring it into a 3D viewpoint, you have to build the graphic from scratch. So for example, back in the 8-bit era, very large enemies were often displayed as backgrounds. But if you did a simple 3D conversion of an enemy like that, it would end up being on a different plane from the player character and look like it’s out on the horizon. If you want real 3D, then it’s basically the same as rebuilding the game from scratch. But SEGA and M2 weren't put off by what was set to be a very hard task, and instead decided to just jump in head first and create the definitive version of the game. We had to recreate the game world in 3D from the graphical depth of the original arcade cabinet, which wasn’t ever made in 3D. There were people who helped and worked with development who’d never played Space Harrier before, and some told me they couldn’t get good at the game. When I asked them what they have trouble with, they’d say it was hard to tell whether objects were right in front of their character or not. Once we had the game in 3D, the same people came back and said “OK, now I get it! I can play it now!” Hearing that made me really happy we went through with the project. 3D Space Harrier will be available to download on Nintendo 3DS this Friday for $5.99/€4.99/£4.49, along with 3D Super Hang-On. "It might really be the last Space Harrier, or at least the last port." Been wanting to play a Space Harrier title for awhile, 3D Space Harrier would be a fun starting point. @KeeperBvK Not me! But at least it shows they are happy with what they have achieved. @MadAussieBloke Like what? Re-releasing old games in 3D? Yeah, Nintendo certainly hasn't done that so far. Oh, wait. Yeeesss being waiting so long for these !!! @MadAussieBloke Kid Icarus was pretty good. Almost impossible, because of character / model scaling ? I cant see a major problem here. Just take the original, etstimate a moving speed for the character, time the appearance and colision of an object and you pretty much have your moving speed for that too. Maybe Sega could help Nintendo get more of their classics done for them and give Nintendo a few pointers. Super Mario Bros 3 3D! And we won't see Sonic until December. Saving the best for last: always effective and just as cruel. I hope this is not the last port of Space Harrier. If anyone can do it it's M2, their SEGA Vintage Collection emulations on PS3 are great and an example of how to best present retro games on modern consoles, jukebox, multiple region setting, 50/60 Hz options, full screen customization, full button remapping including auto-fire, multiple save states, and scan lines options. When I pre-ordered Castle of Illusion on PS3 and received the Megadrive version as a bonus, I was very glad to see their logo appear on start up! @MadAussieBloke You must be the only owner of nintendo systems that dosnt like anything by nintendo? Or are you just a troll? Yum, Space Harrier in 3D. Funny they had so much trouble with it, since its forward-moving structure suits stereoscopy so well. And we love that Mad Bloke, or I do, anyway. They don't feel the need to draw pointless aim cursors on the screen and other needless HUD elements that just pull you out of the game. I can guarantee that if this game was made today there would be a big aim cursor and constant pop-ups telling you how much points you've scored on each baddie, how many coins you've earned and how many more points till your next level up etc, in front of everything. This article describes exactly why Nintendo stopped making 3D Classics. Anyway, I hope these guys don't stop anytime soon at porting and remaking these classics, I've played most of the upcoming 3D Classics on my Genesis and can't wait to double dip! A small request though, 3D Sonic 2, 3, Knuckles, CD, 3D Blast(Saturn version please). And while they're porting, 3D Sonic R, NiGHTS, and Knuckles' Chaotix please. Please oh PLEASE!! bring the Phantasy Star Sega Ages series to the West! This NEEDS to be done! @Windy Yeah, I think the Online series probably has the best chance. But the original series I - IV are the ones I'm wishing for. And specifically the remade Sega Ages ones kinda referred to in the article (well, they mentioned the "Sega Ages" series at least ) But those would take too much to translate for the sales, probably. Heck, I'd be thrilled with just a 3D version of any straight ports of I - IV! Was wondering if this was for NA too, and looking at the "Game Overview" box in the header... IT IS! YEAY! @AcesHigh Nintendo even though has made the most 3D remakes have totally dropped the ball on 3D classics. They seem to have little or no interest anymore in doing it. Hopefully Sega picks up the ball and runs with it. @turbo409uk I would imagine that with 8-BIT ports, the porting process isn't as precise because there is no way they will make a perfect port. So the efforts expended aren't as costly. In other words, you don't need to bother trying for perfection when perfection is impossible. Here, they are trying to make a perfect port. They even mentioned the PS2 version was a bear to make - especially emulating the (I would presume, arcade's analog) controls. Throw the new 3D layering infor the 3DS (each layer has to be identified and phase in / phase out mapped and timed) and I can totally see why this was the hardest to make. While I'd love to see OutRun, which is perhaps my favourite ever game, I dont think we will, at least with the original car sprite. The best non arcade version of OutRun is the Japanese Saturn release (the US and PAL SEGA ages compilation versions have a glitch where the car becomes stuck in its 'uphill' animation on the second stage). If we see OutRun on 3DS, I think it will be with the generic sports car that is in the Shenmue 2 release... That would still be very cool though, as its not reappeared since OutRun 2 on Xbox, which had a decent emulated version of the arcade. @Ristar42 if these new 3D classics sell well enough we will see Outrun. @Windy Unfortunately, you seem to be correct about Nintendo's disinterest. Even though they outsourced the development to Arika, they still don't seem interested in pursuing it. You think there would have to be a reason like lack of sales vs. development costs. In all fairness, the selection for ports hasn't been 100%. OK, you have Kid Icarus and Kirby. But the others? Meh... As you said, maybe if these Sega remakes do well (I can't wait to see how well Sonic does), maybe Nintendo will focus on better, more classic games, to re-imagine. Maybe some Mario or Zelda? 16-Bit even? So this is coming to the US? If so I WANT IT, lol. @Windy That would be great, but its the one that seems to get left out these days, weirdly. I figure the car sprite is a perhaps problem, but Shenmue 2 and the Yu Suzuki game works Dreamcast version just replaced it (as it has the 'Prancing Horse' lookalike). I'd actually like to see Turbo OutRun at some point, its never had an arcade perfect port to my knowledge (FM Towns version is closest I suppose). 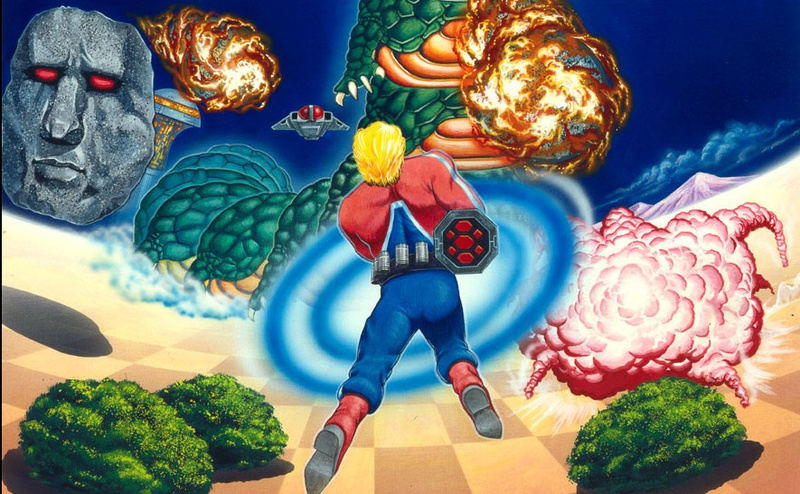 Out of all the classic games out there, SPACE HARRIER is one that`s perfect for a 3D remake. Really good to read what`s involved in a project like this. I just hope the 3D on these Sega games are really good. Some of the Nintendo remakes weren't that great. @AcesHigh The Saturn version was already perfect. @Windy Think the Altered Beast / Sonic ports had the same minimal amount of effort put in as the Nintendo ones. (i.e with a controller the mobile version of Sonic is a better port). @MadAussieBloke Sega doesn't have the skills either. Only D4 Enterprise and M2 do. They are not at this level of quality though even this batch of 3D Classics. I'm glad they went ahead and made it 3D rather than a quick port. I still have and love the Space Harrier on the 32X but I would love to pick this up to see it in 3D! I used to have Space Harrier 3D on the 8 bit Sega Master System so it would be nice to see a true arcade version in 3D. Still waiting for Sega to release their Master System Sega Scope 3D games for the 3DS like Maze Hunter 3D as well as Zaxxon 3D. @unrandomsam My post was in response to a comment about porting to C64. Yes, I'm sure that port could have been perfect. I never played it. So the point I was trying to make was that there is more effort needed when attempting a perfect port (like the Saturn too) than a port to 8Bit. Now add to that perfect port having to add 3D layers, timing, etc. And I can see why this port was the hardest. @AcesHigh I like that they put the effort into this (I will certainly get it.) the music is very important to me though (And in the PS3 Neo Geo stuff theirs was off so perhaps it is not important to them). @unrandomsam Same here! You know, our audible sense has the strongest link to memory. Nostalgia fuel! why don't bring sega ages phantasy star gen 1 on wii u vc? Phantasy Star in the next series please? If you only own a 2DS then these games will look nothing special to you. Glad I got both, 3DS for me, 2DS for the kids. One thing is for, Sega has done a MUCH better job with their line of 3D Genesis titles and the Gamegear VC Vs the gameboys, what, with the slew of fantastic nostalgic options(Being able to turn on/off the original Game Gear's Blur, different colored game gear shells in 1:1 mode ect ect) at your disposal. Heck, Nintendo didn't even bother to include a Monochrome green virtual slider for GameBoy VC games...It would totaly come in handy, seeing as how the current green pea soup look drowns out tons of detail....Thanks Nintendo, for the half a**ed job. Being able to turn off the ghosting/blur would of also been nice. Still, this can all be addressed with a firmware update, but i doubt it will ever see the....Dr. Light of day! tee hee.